The Department of Trade and Industry (DTI) has unrolled programs and projects to assist Boracay residents, especially the micro, small, and medium entrepreneurs (MSMEs), following the island's closure last April. “We had taken measures and interventions to assess and address the needs of the residents, especially our micro entrepreneurs and local workers, even before the actual closure of the island,” said DTI Secretary Ramon Lopez. DTI started a series of consultations on 3 April 2018 with provincial and local government units, as well as business counselors, and conducted surveys among local business owners and workers in Boracay. The respondents identified and requested assistance in online marketing, accessing new markets for their products, and help in relocating their businesses. Various skills training such as cooking, baking, food processing, and handling were also raised. Some respondents also inquired about the government’s loan programs and financial assistance. On 23-28 April 2018, DTI participated in the Aklan Piña and Fiber Festival by mounting a trade fair at the Provincial Capitol Grounds of Kalibo, which featured products of MSMEs affected by the closure of Boracay. The trade fair gathered 121 exhibitors comprising of 104 MSMEs and 17 Local Government Units One Town, One Product (OTOP). 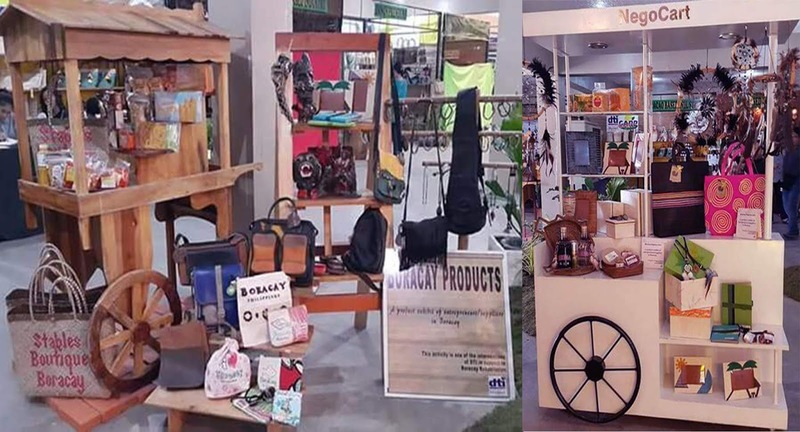 The trade fair generated total sales of Php 15.206 million, which covers Php 1.564 million-worth of cash sales and Php 13.642 million-worth of booked orders. DTI also brought to Manila the products of eight affected MSMEs from Caticlan and Kalibo. 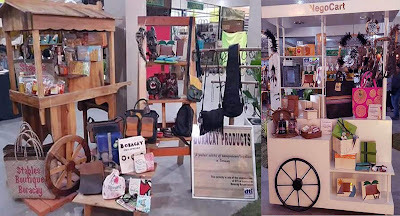 The items were promoted and sold at the Boracay Store of DTI’s Bureau of Domestic Trade and Promotions Showroom. The products featured include banana chips, crispy shrimps, biscocho, cinnamon toast, toasted crunch, ampao, ugoy-ugoy, butter toast, otap, assorted bags, wallets, coin purses, eyeglass cases, pencil holders, cell phone holders, wood and crochet ball bracelets, abaca envelope packaging material, and piña silk shawl. “We are on the lookout for more ways to assist our MSMEs and those affected by the closure. We are also planning more trade fairs and allocating spaces to promote Boracay products not just in other provinces but also in big cities and tourist destinations. We will be carrying deserving products in our Go Lokal stores and showrooms,” Sec. Lopez said. Meanwhile, the Department opened a One-Stop Operations Center in the island where other government agencies-- including the departments of Labor and Employment (DOLE), Social Works and Welfare (DSWD), Tourism (DOT), as well as the Technical Education and Skills Development Authority (TESDA) and the Malay, Aklan Public Employment Service Office (PESO)-- are present to address the needs of the residents and local MSMEs. “There are still a lot of training programs in our calendar that we can conduct in the coming days for the Boracay residents and our MSMEs,” said DTI Undersecretary Zenaida Maglaya. Various skills training were offered to the residents such as screen printing and siomai making. There were also Online Marketing Awareness Seminars and consultations on the government's Pondo sa Pagbabago at Pag-Asenso (P3) Financing Program, as well as Trademark Registration.